Aries born love their family whereas Cancer born carries more concern towards their family. The strong belief of sovereignty makes Aries suppress in situation of excess care and love. Whereas Cancer looks for reciprocated trust and stable adore. Due to their intense love on their loved ones, Aries get cold immediately. Cancer will be more responsible to fulfill all their responsibilities towards their family. They may feel alone this time in fulfilling their responsibility. The way they understand their partner will decide the compatibility of their relationship. Aries inspire Cancer to act independent whereas Cancer teaches Aries to be kind. Adjustment is the major key in their long lasting relationship. Her emotions and feelings may get hurt because of Aries informal behavior and unstable nature. He may smooth himself on her heed, love and anxiety. They can form a long lasting relationship only when he realize her need for love and she give enough space for his enthusiasm and independence. Cancer man likes to sit at home and enjoy his time whereas Aries woman likes to travel around. She loves to have freedom and feel him slightly dominating. Both are stiff and little mulish in nature. In order to have a long lasting relationship one should try to be very lenient. They will have a successful relationship if they realize this truth. They share similarities among them. Both behave very responsive. Both enjoy their belongings in a calm and cool atmosphere. They get together each other because of their friendly nature. They don’t like to have race in their life but prefer to live in their small house. Cancer is fascinated by the generous nature of Taurus. Taurus display immense love towards their family. In turn, Cancer will shower their love on Taurus. If they can keep aside minor differences, they can make a long lasting relationship. They both are made for each other. He is always favored by her thought. Both appear to be highly emotional and tend to accomplish everything they need in life. He always look for a comfortable stay at home and Cancer woman is prepared to give him his need. She feels highly secure because of his defensive approach. They both share eternal love. He remains stable in her kindness and softness. She gets his devotion towards her by providing him much needed comfort. They exhibit unbelievable sincerity and stand for their partner forever. The success in their relationship depends on their straight forward behavior. They do not share too many common qualities. In spite of their dissimilarities, there exists a perfect balance in their relationship. Cancer will always stand by the side of Gemini. Gemini is not as emotional as Cancer. Cancer believes in reality whereas Gemini lives in imaginative world. Sappy Cancer get hurt by this nature. Gemini believes all words but Cancer believes in act. Cancer is attracted by the intelligence and funny nature of Gemini and this remains their positive energy. The flirting Gemini loves to have freedom in life and at the same time provide protection to Cancer. Cancer woman gets fascinated by the eagerness and liveliness of Gemini man. Her receptive etiquette and modest behavior attracts him. As days goes on, differences arise in between them even before they adjust among themselves. Her very hot nature will not get along with his frosty behavior. His hesitant towards commitment may get her into confusion and she ultimately ends up her relationship with him. He is very passionate to show his power to attract her. She is not very much interested in getting involved in long term relationship. But he gives his complete commitment in this relationship. When she enters into this relationship he will become suspicious. He needs lot of attention and love. This relationship can be kept alive only when there are maximum adjustments. 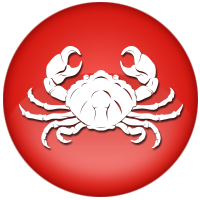 Cancer born persons are very kind and highly responsible personalities. They are highly variable. When they both come closer, there arouse profound feelings. Both of them are highly expressive. Both love their partner. They are more emotionally attached in their relationship. No one can establish a calm situation. There may be lot of uncertainty in their relationship. It may be bitter or loving. Their relationship may get ruined if both respond in similar manner. But it will be hard to get departed immediately. If they need to maintain their relationship, at least one among them should be more sensible and possess self-confident. The major issue in this relationship is both of them share similar character. They extremely care for their partner and at the same time, demand more from them. They should concentrate more on the common sense, sympathy and endurance in order to have a long lasting relationship. They both get hurt when harsh words are used. They always expect anxiety, mind and admiration from whom they love. They are completely diverse in their nature. Cancer shows maximum care for people whom they love whereas Leo is very dominating in nature. Cancer is quite comfortable in following the footsteps of Leo unless no one disturb his independence. He shower care and love towards his partner. Cancer is born to get love and Leo is born to shower love. This is an ideal relationship. They ultimately end up in marriage. There exists abundant compatibility in their relationship. All the need is minor adjustments. Cancer man is always ready to give esteem and love to Leo woman. She should be very cautious without uttering any kind of callous words. He loves to spend his life with a person who gives him good respect and that particular person is Cancer born woman. Her senses are secured by him. She showers abundant love and notice on him. Her apprehensions privilege him. He is always ready to accomplish anything in order to settle her in smile. Though are completely different they form a very good compatible relationship. Virgo born are highly introvert in their behavior whereas Cancer born are highly tolerant. Virgo showers lot of affection to their partner throughout their relationship. Since both are highly sensitive in nature, they should be very cautious in protecting themselves from any hurt. Virgo should go very careful. Cancer born is quite insensitive and highly perceptive in nature. He advises Virgo to maintain patience whereas Virgo advises their partner to be practical and rational. They form a really very good match. They both are really very good couple. There exists a long lasting relationship because of their compatibility. She feels proud because of him. He gives her completely safe shelter. Both are dependable, faithful, genuine and free from jealous. They have strong belief in contentment and permanent love. Safety is the primary quality much needed in their relationship. They both are highly devoted and extremely dependent and also sincere in nature. As they respect their partner’s opinion and desires, they exists no problem in their romantic relationship. This relationship carries lots of similarities and differences as well. Both of them love to have a harmonious life. They are highly thoughtful when it comes to their partner’s feelings and take complete responsibility for all their desires. Both Cancer and Libra love to have a peaceful life. Cancer holds trust on discussion a slightly less than that of Libra. This relationship holds excellent probability for both non-existence and existence. He is comparatively more sensible in matters when compared to his partner. She is much more relaxed in looking at life. At times, he may articulate the way he approach things which in turn may frustrate her. This relationship can remain ideal one only if they discuss with each other and make things quiet clear. This relationship can stay alive only if both the partners put forth their genuine work in their bond. She expects fiction and love from him whereas he looks for thinker inspiration. Their relationship remains long lasting if she put forth her effort to keep him warm and keep aside all misunderstanding between them. Both of them are highly emotional and intense and hence there comes no issues to form a relationship. There exist many similarities among them. Both expect authenticity, closeness and lots of affection from their partner and they get the same. Their relationship is filled with fable and plenty of excitement. Their relationship relies on care and filled with sensation. They appear to be the ideal match. The great harmony existing between them leads to a much stronger relationship. Both show much concern for their partner. She always desire for comfort and security and he make sure to give her the same. Together they demonstrate high probability for successful relationship. Both are highly passionate. But in reality, he gets completely involved in her. There exists accuracy and abundant reliability in their partnership. He gives her much needed shelter whereas she makes him realize that she is important person in his life. They possess abundance of personality based disparities. Sagittarius does not belong to the category of homely personality and that may be the cause for their conflict. Cancer looks for steadiness whereas Sagittarius looks for abundance of freedom. In spite of all these conflictions, they know how to complement their partner. Sagittarius may feel stifle because of unwanted affection of Cancer and at the same time, Cancer may feel unconfident because of the Sagitarrian sovereignty. This relationship carries compatibility. Both of them should take all the necessary steps to maintain the same. She should carry the knowledge of accountability in life. At the same time, he should pay attention to his environment and should be daring too. She wishes for self-rule and he expects regards. There is a chance for a compatible relationship only if either one of them takes a resolution to act as per the situation. During initial stage, she gets fascinated towards his audacious traits and friendly behavior but slowly it fade away. Once the glimmer flews, they can bring miracle in their relationship with their dissimilar qualities of complementing their partner. Both are similar in their characteristics. Cancer is very emotional whereas Capricorn looks for a practical approach. The Striving ability of Capricorn cannot be understood by the Cancer. This Character variation may balance their weaknesses while both should spend time with their partner to understand them in a better way. To some extent both are faithful and reliable. Gradually they develop the habit of appreciating their partner’s opinion and thereby develop compatible relationship. This does not belong to the category of long term compatibility. After going through ups and downs, they develop intense magnetism among each other. His habit of going back from decisions may aggravate her. This relationship may become winning and tuneful only if there is abundance of tolerance, patience, communication and understanding. He can put forth his thought candidly only if she compels him to do so. She goes sense stranded because of his highly practical approach in life. On the other side, he will be unable to understand her feeling towards others. They can make a great couple if they can handle the esteem of their partner from their point of life. Cancer is highly emotional and deeply attached towards their family. Aquarius looks for liberty whereas Cancer likes to have closeness in their relationship. As it is very difficult for them to comprehend their partner, their love may face various issues. They should try to understand that they both are different personalities with different qualities that vary considerably. She is mostly unfriendly and at the same time prefers to stand on exterior level. She looks for scholar companion who can spend hours with her. He looks forward to have a woman who can hug him during bad times, adore him and also appreciated him in this world. One can see long term compatibility in this relationship. They both possess completely opposite relationship needs in this partnership. Her constant requirement of love will get fulfilled by him. She recognizes his strive for complete freedom. She may feel anxious because of his various acquaintances and informal behavior. His logical thinking get collide with her feelings. There is a chance for various modifications and this relationship may appear to be stretchy. Together they stand as best example for harmonious relationship. Both of them are emotional and kind. Both of them know completely about their partner. Pisces is equally responsive as Cancer. They know their partners requirements perfectly. There is a chance for various discrepancies but nothing is very strong to have unfavorable situation in their relationship. Cancer is not as orthodox as Pisces. They both think from the depth of their heart and there is no place for common sense. They are equally dreamy. But one should be practical in order to have balance in life. His affection is sufficient enough to make her weak. Their match appears to be wistful with abundance of strengths, protection, obligation and consideration. They shower love on their partner. They possess great tuning in their relationship. He is filled with excitement. She gives him maximum attention and makes Pisces Man to feel extremely special. With faith, love, care and mutual attachment, their relationship moves ahead. They are completely aware that they survive in this real world and are very practical towards their life.